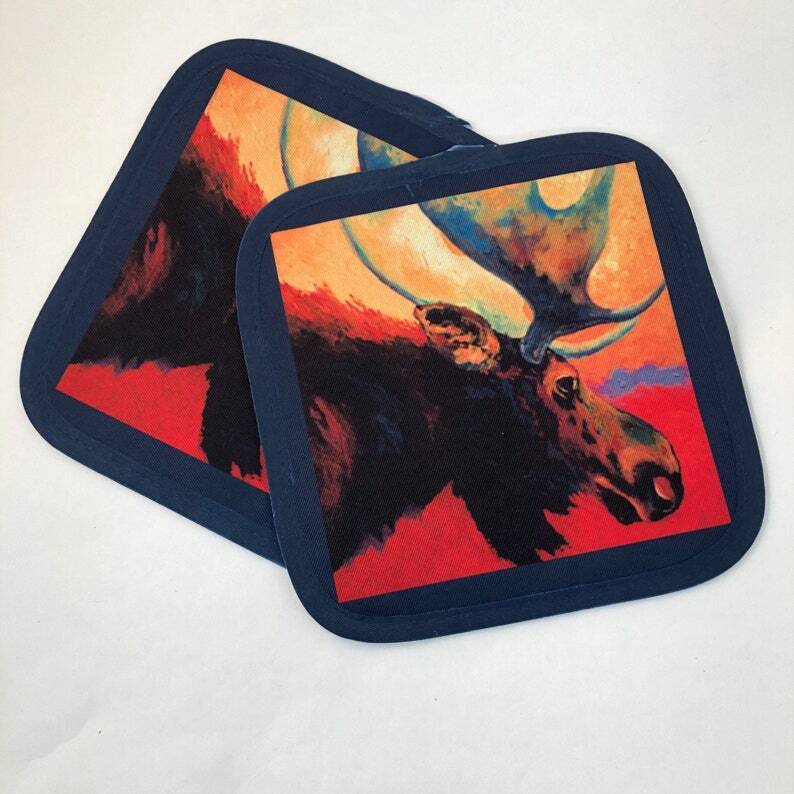 Country Moose art print pot holders, These beautiful hot pads measure 8"x8 " with hanging loop, silver metallic back to resist heat. Prefect gift for your country cabin or condo. Unique Kitchen Decor with beautiful graphic art, cotton/poly blend. This listing is for a set of two pot holders. Camper, Glamper, Vintage Camper, Pot Holders, Hot Pads, Camping Decor, "Let's Roll"
Fast delivery, great service, and cute, quality product! I’ll definitely order again! Arrived very quickly, looks fantastic, thanks so much! Fun item for a gift! No returns on custom work unless I misprint .I want you to be Happy with your Hipsy Gypsy Design, so please contact me with any problems and we will work it out. I usually ship within 1-5 business days, unless noted otherwise. 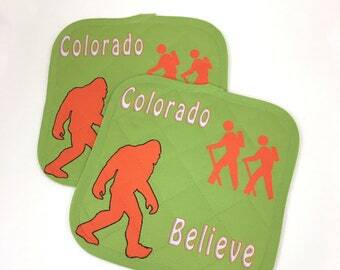 Big Foot Hiking, Bigfoot Pot Holders, Sasquatch Hot Pads, Do you Believe?